I have been attracted to "In Time" since first hearing of its concept. It is not too often an intriguing and "cool" idea comes along in the sci-fi realm that hasn't been greatly explored before. Director Andrew Niccol hasn't had much experience with successful features in the past, in fact the only previous work of his I've seen was the somewhat intriguing Nicolas Cage film "The Lord of War" which like this one had a lot of good ideas going for it, but some things just get lost in aspiration. I assume when looking back at Niccol's filmography that "Gattaca" is the film that would have most helped him here, but with not having seen that movie I can only take away from "In Time" what he did right and where he missed great opportunities. What the film does get right is tone. Tone is always important when setting your film in a future world and I liked things weren't all silver and slick here, as well as with the concept of time as money the world has been divided into sections of those with no time to waste and others who have plenty to spare. The gritty, ghetto setting where we meet our protagonist Will Salas leaves the impression throughout that this may not be a standard sci fi film for the geeks. Too bad with all it has going for it, it ends up wasting much of the momentum. 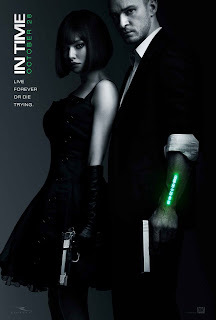 a wealthy runaway and her captor in "In Time". As said in the beginning, "In Time" has a great concept going on here. It is set in a day in an unspecified year where the only currency is the time you have left that constantly counts down in bright lime green on your arm. In a section simply called the ghetto people live day to day, literally, hoping only that their next days wages allows them to sleep through the night and survive until they can receive more time the next day. How the sections came to be, how these people ended up so desperate for time and why there are different districts where the rich hoard centuries is never explained. Niccol doesn't waste time in giving an origin tale to how this all came to be either. He has his main character give a short briefing in the films opening moments but we are dropped immediately into the world in which Salas works and begs to keep himself and his mother alive for another day. In the movies universe people stop aging at 25, a facet that goes pretty much unexplained but seeing as if you have the right resources you could be immortal it is understandable a limit be placed on physicality. In an act of kindness Will is given almost a century by a man who has experienced the epiphany that living forever isn't all it's cracked up to be. This type of "financial" gain is obviously unheard of in the ghetto and immediately raises some flags to the police officers cleverly called "timekeepers" here. 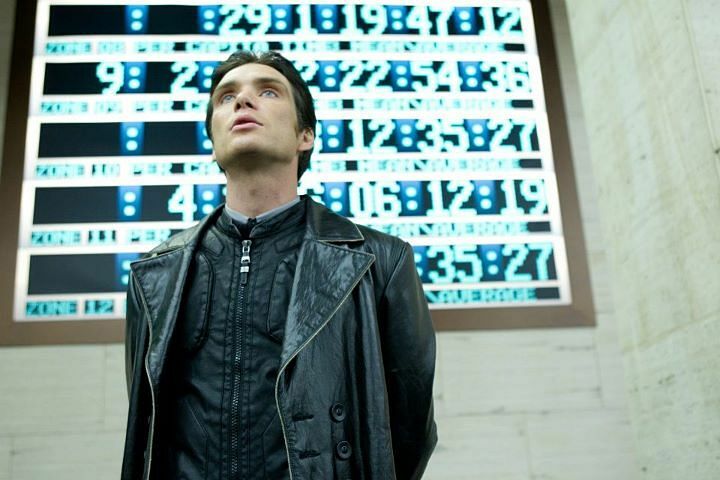 Will is smart and knows better and quickly changes districts so that his new found wealth is commonplace. Seyfried) are short on time. Early on "In Time" shows glimpses of delving into things much deeper than the action caper it eventually becomes. There are ideas of immortality, of living for an eternity and if it is really any kind of reward to have that type of opportunity. It could easily have taken on themes as universal as love and how dying for love is essentially truly living in the first place rather than to live forever in fear and seclusion. That in truth the way these wealthy beings get to be immortal is a lifestyle where you don't live at all. If only, that is all I could think as "In Time" continued on and only a hint of that kind of philosophical discussion was seen in Amanda Seyfried's character Sylvia Weis. After Will is tracked down by the timekeepers under suspicion of murdering the man who in fact gave him all of his time the movie turns into a man on the run tale that from there becomes what is essentially the robin Hood story. Stealing time from the rich to give to the poor. As Will, Justin Timberlake plays it cool and charismatic as Will though I still can't decide if i can take him seriously as an actor and if he did indeed actually take away some credibility from the project. Seyfried was passable, though in all honestly seemed to just be phoning in her performance. Either that or she was just mesmerized by Timberlake, the look in her eyes the entire movie makes this unclear. 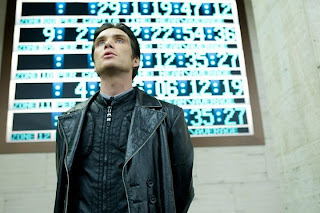 Highlights include Cillian Murphy as the leading timekeeper and most complex character as he wrestles with his duty, his sacrifices and the inescapable thought that what he is fighting for is wrong. As well as Alex Pettyfer who shows up in a few scenes as a tacked on gangster in the ghetto. Props to Olivia Wilde as well who lends a credible, touching and all too brief moment to the film early on. I liked "In Time" more than it sounds like I did. It was an overall thrilling experience with fantastic cinematography and a gripping first half. It is the short handed second act and climax that are really the downer here as my aspirations were so much higher and much more original. This is such a great idea and in part is executed fairly well with all the rules and limitations that can be placed on a purely fictional society. That Niccol makes this whole concept work at all is worthy of some kind of praise and positive response. Ultimately, and with so many movies these days, I wanted it to strive to be more and to produce a more solid, intelligently executed drama that uses its action to re-enforce a point and in this case, a philosophy.